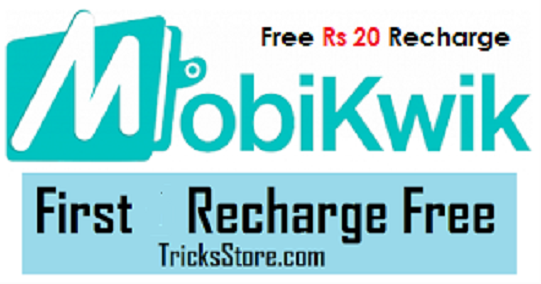 Mobikwik promo code, Mobikwik Real cashback, Mobikwik Supercash trick, Mobkwik Real Wallet Cashback offer – Hey here is new Mobikwik Offer, With this mobikwik cashback coupon code you can get real Rs 20 Cashback on adding Rs 20 to Mobikwik wallet (Not in form of supercash). Mobikwik always come up with free Mobikwik supercash coupon and offers, now mobikwik is giving real cashback on adding money to mobikwik wallet. Problem with the super cash is, you can’t use your comple supercash at once. But with this Mobikwik real cashback offer you will get free Rs 20 when you add Rs 20 On Mobikwik wallet. This is one of the best Mobikwik Add money offer. 2. Now Install & Open Mobikwik App. 3. Make a Login or Signup on Mobikwik App. 6. After that Make payment with suitable method. Hurry guys !! You will Get Rs 20 Mobikwik Real cashback & it will credited in your Mobikwik wallet within 7 days (it will took some time). Now enjoy and share. 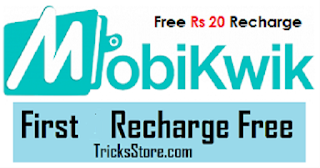 * Get flat Rs.20 Cashback on adding Rs.20 or more done in MobiKwik App. * Coupon redemption & Payment should be done on MobiKwik’s Android, Windows, iOS App. * The offer is not valid on Net Banking and Virtual Card payments. * Limited Period Offer. MobiKwik has the right to end or call back any or all of its offer without prior notice.